to his level of excellence!!! Oy Vey!! Brad didn’t play in the Dodgers 1-0 win over the D-Backs. Ryan rounding the bases after his blast! Ryan has earned a Chai 5! “I do better when I keep the ball on the ground. was good,” Yankees manager Joe Girardi said. Ian, once again, has earned a Chai 5! walks. His record fell to 7-4 and his ERA rose to 4.10. Scott is currently dealing with the unexpected loss of his wife. My prayers are with him. He beat the Yankees!!! 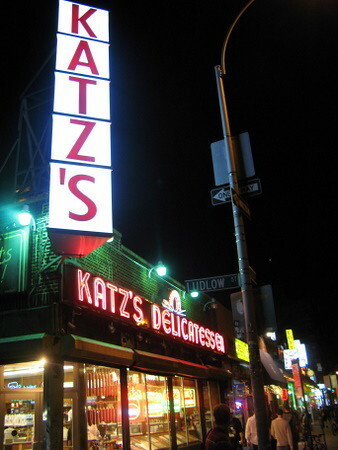 Now he can to Katz’s Deli to celebrate!! rchrdodea@yahoo.com on Funny, He Doesn’t Look Jewish!